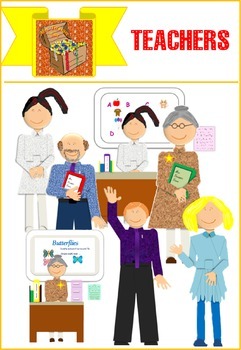 This is a packet of Teachers Clipart. Useful for kindy, primary/elementary, and secondary/middle school teachers as well as school admin newsletters and flyers. Includes both male and female teachers standing and sitting behind desks. Outline of sitting teacher is included.